Warm turquoise water, endless pristine beaches and 7 international airports are just a few of the reasons that families flock to Dominican Republic year after year. 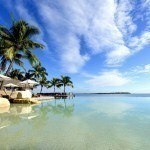 Offering accommodations for every budget, from apartment-style resorts to lavish, 5-star beachfront hotels, this sunny destination is a perfect beach holiday spot for families. Many resorts offer kid-friendly activities and clubs, with water sports such as fishing and sailing that will appeal to families with older children. Entertainment, a wide range of dining options, spa centres and huge outdoor swimming pools ensure so much family fun that leaving the resort is not necessary. Some of the larger family-centred resorts even offer teenage-only lounges, babysitting and rainy day activities to keep the younger ones amused. When planning a family holiday in Dominican Republic, searching for resorts that offer activities geared to every member of the family will result in a wide range of choices. Few Caribbean destinations can compare when it comes to the variety of accommodations and included or nearby activities. 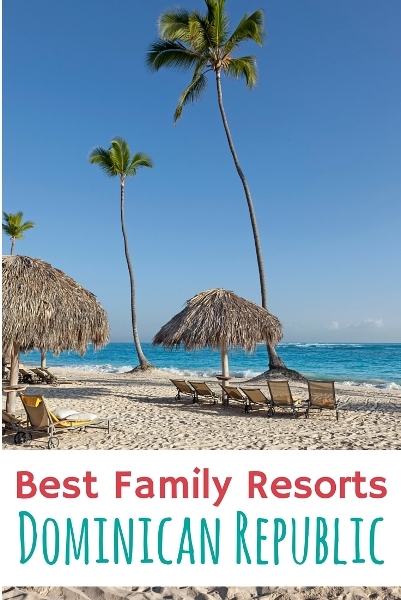 Below you will find out list of the best family resorts in the Dominican Republic including all the best Dominican Republic all-inclusive family resorts for families who like things ultra easy! 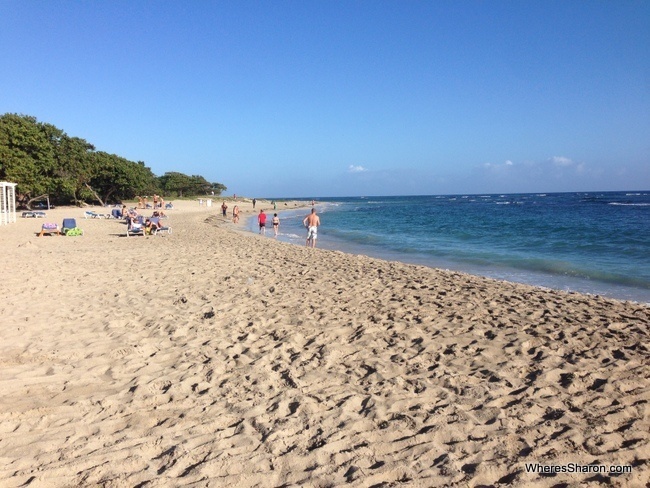 Located on Dominicus Beach, Catalonia La Romana – All Inclusive is a 20-minute drive from downtown La Romana. This activities-packed, attractive resort is one of the best all-inclusive family friendly resorts in the Dominican Republic. La Romana International Airport is just 9.8 miles from the Catalonia Gran Dominicus. 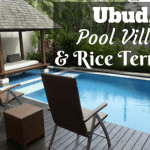 Sixteen two-story villas are on a white beach and rooms feature a balcony, mini bar and cable TV; larger rooms accommodate 2 adults and 2 children and free Wi-Fi is available in rooms and throughout the resort. Water sports, dance lessons, and organized sports are available at Catalonia La Romana. Guests can relax with a massage from the full-service spa or a swim in the pool. There is a kids club, children’s playground and entertainment, and table tennis, darts, diving and snorkelling keep older children and their parents occupied with no worries about lack of things to do. International, American and Italian cuisine is served at the La Romana’s on-site restaurants. Terrace restaurant serves meals right on the beach, and there are also several snack shops and a natural-juices bar. Located in Las Terrenas just under 20 miles from Samana El Catey International Airport, the Grand Bahia Principe El Portillo is nestled on a white sandy beach. Offering an outdoor pool, an indoor and outdoor play area and kids activities even for rainy days, Grand Bahia Principe El Portillo is a great choice when looking for an all-inclusive family resort in Dominican Republic. Double rooms and triple and quad suites feature air conditioning and a balcony, a spa bath, a desk and safety deposit box. The property also offers free parking. Wi-Fi is available. Rooms and suites accommodate up to 2 adults, and 2 children. Fishing, windsurfing, billiards, darts, horseback riding and more will keep older children and parents busy, and there is a kids club for the smaller members of the family. Entertainment staff and a nightclub promise non-stop fun at this all-inclusive family resort in Dominican Republic. Featuring a water-park, restaurant and an outdoor pool, Grand Bahia Principe Turquesa is located in Punta Cana, a 25 minute drive from Punta Cana International Airport, and is one of the best family friendly all-inclusive resorts in Dominican Republic. The fully fitted suites come with air conditioning, a balcony and a terrace. The amenities available may include a hot tub, plus cable TV, a safe and a minibar are featured. The full bathrooms come with free toiletries and a bath. Family suites accommodate up to 2 adults and 2 children. A Japanese restaurant and garden grill restaurant provide meals and in-room breakfast and special dietary needs can be catered to. At Grand Bahia Principe Turquesa there is a tennis court and fitness centre, and other activities such as cycling and diving can be arranged. 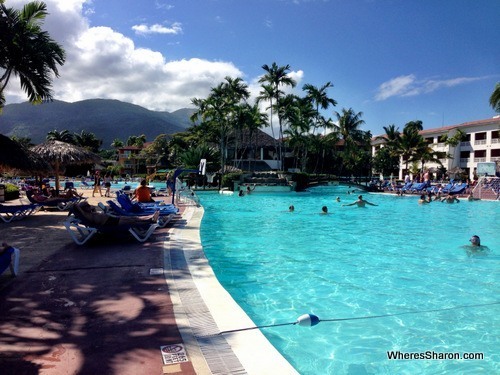 With all the water sports available plus the water park with its slides and sprinklers, this is one of the best family resorts in Dominican Republic with a water park. A kids club and playground keeps smaller family members happy. Bavaro is also a great destination for travellers interested in water sports and dolphin watching. 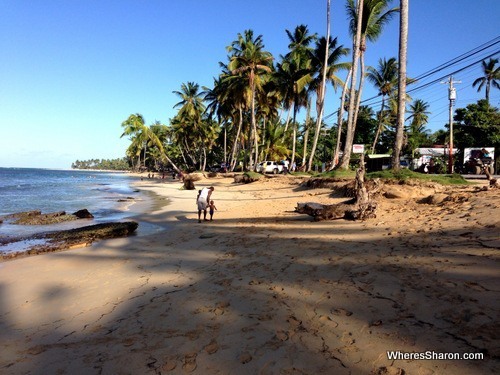 Located 29 miles from Samana El Catey International Airport, this family friendly resort in Dominican Republic offers an outdoor pool and a restaurant. Grand Bahia Principe Cayacoa is located in Santa Bárbara de Samaná. The accommodation includes air conditioning and a balcony. The spa bath and private bathroom also comes with a shower and a hairdryer. A junior suite is available sleeping up to 2 adults and 2 children. A la carte and buffet restaurants provide meals throughout the day. At Grand Bahia Principe Cayacoa you will find a tennis court and free bikes while other facilities offered at the property include a nightclub and on site shops. An array of outdoor activities can be enjoyed on site or nearby, including windsurfing, hiking and snorkelling. This property also offers free parking. Located in Vuelta Larga, 8.7 miles from Sosua and 6 miles from the international airport, the Iberostar Costa Dorada is one of the best family all-inclusive resorts in Dominican Republic. The hotel has a spa centre and a private beach area, and guests can enjoy a drink at the bar. Rooms feature a flat-screen TV, a coffee machine and a private bathroom with shower and toiletries. A 24-hour front desk and the on-site restaurant offers buffet and à la carte menu. Watersports such as sailing, windsurfing and kayaking are offered, making the Iberostar Costa Dorada one of the best all-inclusive family resorts in the Dominican Republic. Entertainment in the evening and plenty of fun for the children in an indoor play area, kids’ club and an outdoor playground ensure the whole family are kept busy. Other activities are offered in the area, such as snorkelling and diving. Car hire is available for those wishing to explore the area’s many exciting activities. 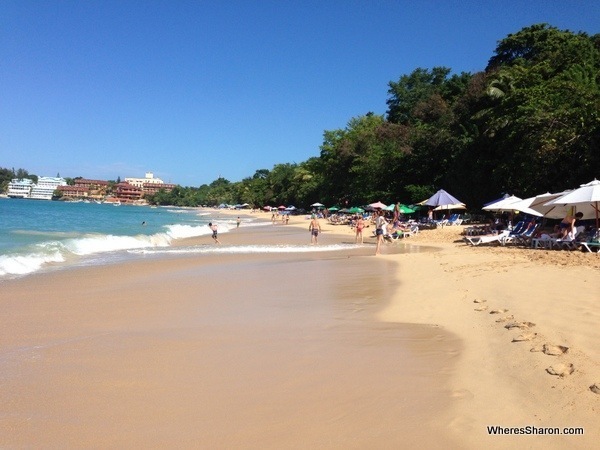 On Costa Dorada beach in Puerto Plata, the 5-star Be Live Grand Marien offers a wide range of activities and four restaurants and a snack bar. This Dominican Republic family all-inclusive resort features casual rooms with Wi-Fi (for a fee), TVs with premium channels, coffee makers and minibars. Upgraded rooms offer ocean views and private terraces and some offer whirlpool tubs. Suites offer microwaves, and sitting areas with pull-out sofas. Room service is available. There is a Mini Club for kids aged 4 to 7 years, as well as a kids club for 8 to 12 year olds. A kids pool, a gym, casino, nightclub, theatre and day spa are found in this village-like atmosphere which also offers shops and activities to keep the whole family amused. Rooms offer coffee and tea making facilities and a refrigerator and ocean view rooms offer stocked mini bars. Situated in Sosua, 7.5 miles from Cabarete and 15 minutes from Gregorio Luperon International Airport, this upscale family resort in the Dominican Republic offers air-conditioned suites that sleep from 4 to 6, including children. An outdoor pool, gym, spa and wellness centre and an on-site restaurant allow guests to relax and recharge. Luxuriously appointed suites offer a TV set with cable channels. Some suites include a seating area and all are fitted with a private bathroom that includes either a bath or shower. 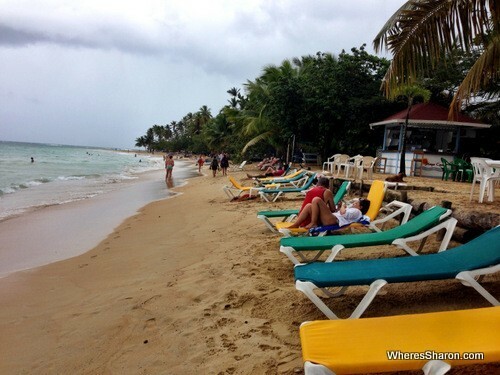 This top family resort in Dominican Republic offers bike hire and car hire and the area is popular for snorkelling. Free private parking is available on site. 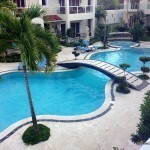 Situated 4.3 miles from Punta Cana Internatonal Airport, this apartment-style resort is very close to Cap Cana Marina. A private beach area and water sports facilities are offered, and free Wi-Fi is provided. A 24-hour front desk, hairdresser’s and gift shop are on site, and a wide range of activities in the area such as horseback riding and golfing are easily accessed. Bike hire is available as well. A children’s playground and kids club amuse the smallest members of the family, while karaoke, a games room and table tennis will appeal to older children. The 2 bedroom apartments feature 1 large double bed, 2 single beds and a sofa bed and can accommodate up to 2 adults and 2 children. Baby safety gates and board games are available upon request. Located 8.7 miles from Punta Cana International Airport, this top-notch resort offers five swimming pools and luxuriously decorated rooms. A furnished private patio or balcony is available in each air-conditioned room at Now Larimar Punta Cana. A minibar and a flat-screen cable TV are provided. Each room is decorated in bright colours with floral designs. A spa bath is provided in the well-appointed private bathrooms. 2 double beds or a king bed, a mini bar and coffee making facilities are also featured. The water sports facility offers sailing, windsurfing and kayaking. Guests can play on the various courts including basketball and beach volleyball. 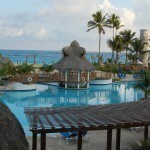 Daily classes at Punta Cana Now Larimar include dancing and Spanish. A private beach, kids club and playground cater to younger children in this family friendly Dominican Republic resort. The International Café offers casual dining with outdoor seating, and gourmet dining is offered at Capers Italian restaurant. Kid-pleasing hamburgers and hotdogs are offered beachside at Barefoot Grill. Located at Playa Coson and 5 minutes by car from Las Terrenas, Sublime Samana features 2 outdoor pools, a fitness centre, a wellness centre and a tennis court. Free Wi-Fi, free parking and modern air-conditioned rooms that include a balcony, phone, TV and kitchenette offer excellent value to families. They have a dining area and a microwave, coffee maker and refrigerator. The bathrooms feature a shower, hairdryer and free toiletries. 2 on-site restaurants offer Mediterranean and Caribbean food and there is a bar, and room service as well. Diving, snorkelling, fishing and a private beach are just a few features of this family friendly Dominican Republic luxury resort. 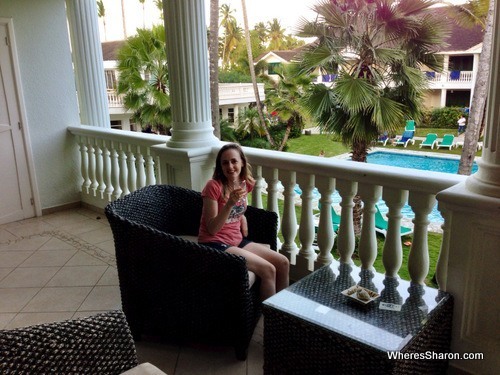 My favourite part of being at the Albachiara Hotel – private balcony drinks! Albachiara Hotel: Apartment style hotel in a great location with a lovely pool. Read our full review here. Majestic Colonial – Punta Cana: Located on Cana Beach, offering 6 restaurants, an enormous outdoor pool and luxurious suites. Plaza Florida Suites: Spacious suites located in Santo Domingo’s University Zone, 5 minutes to the beach. Ultravioleta Boutique Residences: Located on Cabarete Beach, offering an infinity pool and spacious oceanfront apartments. Hard Rock Hotel & Casino Punta Cana All Inclusive: Situated on one of Punta Cana’s best beaches, this resort offers lavishly appointed suites, 13 pools, a kids club and an arcade centre in one of the top family resorts in the Dominican Republic. Aligio Apart-Hotel & Spa: Apartment-style hotel in Las Terrenas, featuring spacious apartments, an outdoor pool and grocery delivery. What is your favourite hotel in Dominican Republic? 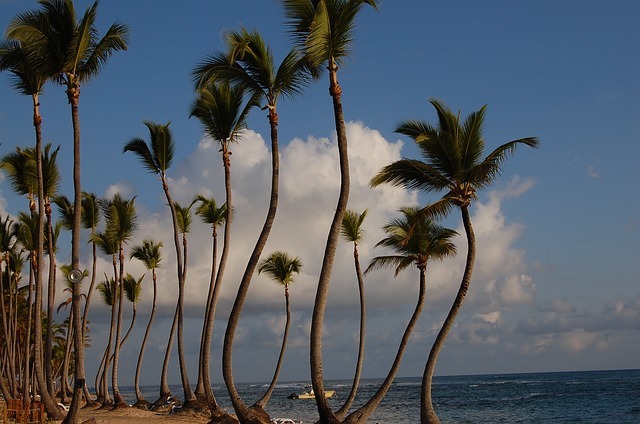 Read more about visiting the fabulous Dominican Republic in our travel guides to this beautiful country! 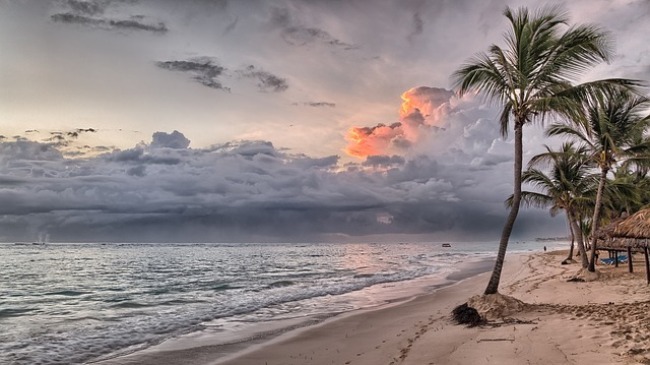 You can also read our guide to the best family resorts in Punta Cana. Disclaimer: This article contains affiliate links. This means that if you make a booking after clicking on one of these links that we may receive a small commission at no extra cost to you. 5 Reasons why you should NEVER Travel with Kids! Joshua loves to travel. When he is not travelling the world with his family, he is at home in Melbourne working as a computer programmer. He loves Australian rules football, cricket and sport in general. 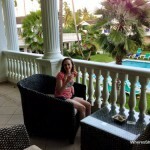 I love the Dominican Republic and I even stayed in some of these resorts. Nonetheless, the guide is very complete and very useful for first-time travelers.